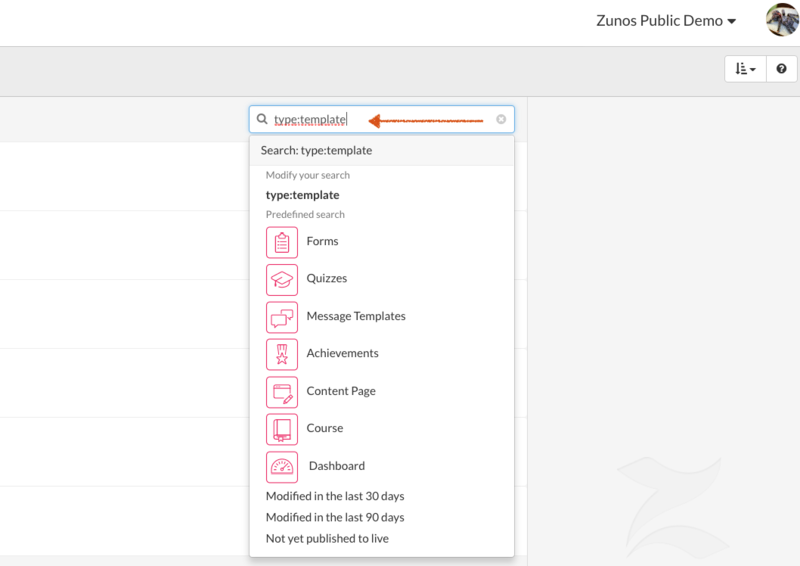 This article explains how to create different types of Message Templates in Zunos. The Zunos message maker makes it quick and easy to create beautiful email messages that can be used to send a company newsletter, announce a new product, promote a sale and more. It features a drag-and-drop interface that enables anyone to create a message. It creates emails that adapt automatically to small screens like smartphones or tablets. Templates saved with the old message builder will continue to open in the old builder. To start using the new builder today, go to the Drive and click Add Content and choose to add a Message Template. Generic: Generic Template is for regular messages and updates being sent to users. Generic is the most common selection. 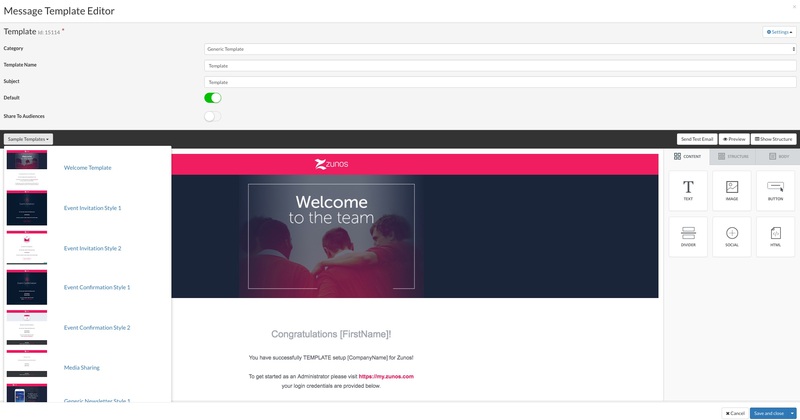 Welcome: Welcome templates are used to send a welcome message to your users. Event Invitation: Invitation messages are for inviting users to an Event. Event Invitation Reminder: This template is used for users who have yet to respond to the event invitation. Event Confirmation: This template is used to confirm a user's registration to the event. Event Reminder: Event reminder can be sent to remind users of the upcoming event. Post Event: The Post Event template is used whenever an admin would like to get Event feedback or to say, Thanks for attending the event. Content Share: The Content Share template is used when users want to share a content file via email attachment. When a content file is shared, the Content Share template is shown. Keep in mind: The Content Share template email and content attachment is shown in the Zunos Webapp version only. Also, the Content Share template should be selected as 'Default' if an admin prefers to use this template to share content. Reward Template: The Reward template is used to send information to users regarding any rewards they have received. 3. Enter a template name and subject. The subject will appear in the subject field on the email and in the app. 4. Default. If enabled, the template will act as the default template from that point forward for this type of message. 5. Share to Broadcast Channel. If enabled, a new section will appear where you can choose your Broadcast Channel tag. The template will appear in the child account. This option is only relevant if you use the Zunos Network Edition. You can choose from a list of pre-built templates under Sample Templates or create your own from scratch. In the right toolbar, use the tabs and buttons available to build your template. The Content tab contains content types like photos or text, which can be added to your template by simply dragging and dropping. A blue line will appear to highlight where the selected field will show up when you drop it in place. 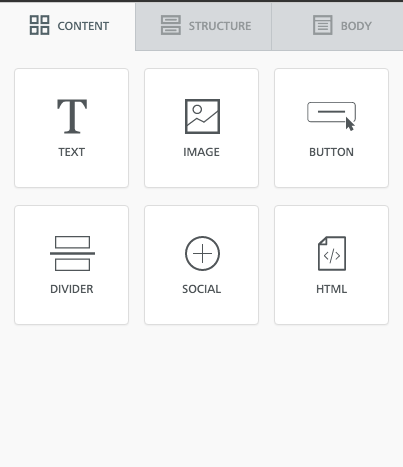 The Structure tab contains pre-built layouts which you can use to easily add multiple images or text to one line of the template. The Body tab allows you to change the background color, content area width and other features of the whole template. After you have finished building your template, click Preview to see how it will look in an email on a desktop or on a mobile device. You can also send yourself a test using the Send Test Email option. This will present you with a window where you can type in an email address and send a preview of the template to the specified email address. Finally, you can choose to make the template a default, and click to Save & close. To identify the category of template located in Drive you can view the Message Type value located under the template name. To locate your email templates, click in the Search field located in the top right corner of Drive. This will present you with a drop-down list of common search options. If you select ‘type:template’, Drive will display all email templates. Keep in mind: Search time might depend on the amount of content you have in Drive.